This performance débuted at the Kingsway Winter Solstice Festival hosted by the University of Chester. For this performance I collaborated with Kyle Hill and formed the performative duo ‘Harrison-Lord & Hill’. Performance (of a) Tutorial lasted for eight weeks in association with the University of Chester. Using a performance score we improvised, negotiated and exchanged encounters with students and staff from the performing arts disciplines. This site specific, one-on-one-on-one and immersive tutorial formed the performance. The tutorials provided were under the umbrella term of ‘productive and counterproductive advice’ and subject matter was brought to us by the audience member. Subjects ranged from essay structures and productivity, to accepting a grey clouded sky and being able to overcome a fear of writing backwards; we gave our most authentic response and provided alternative playful and performance based responses. Harrison-Lord & Hill, Performance Duo. An extension of Harrison-Lord & Hill was a series of floor and wall based interventions at The University of Chester – each work lasted each for two weeks before being destroyed. These interventions were parodic and made critical comments on the institution. This paper was delivered at the Faculty of Arts & Media Postgraduate Symposium at The University of Chester. The paper is a reflection on the first week of my eight week long performance residency in association with the University of Chester into what an office is to me, the occupancy of space, and contemporary performance modes such as live art, performance of everyday tasks and improvisation. Below is the abstract of my paper. NB: The performance was entitled COUNTER PRODUCT(I’VE) (an) OFFICE until mid November where the development led us to change it to Performance (of a) Tutorial. COUNTER PRODUCT(I’VE) (an) OFFICE: A reflection on setting up a space (an office) with no boundaries. Dear Sir / Madam / To Whom It May Concern. 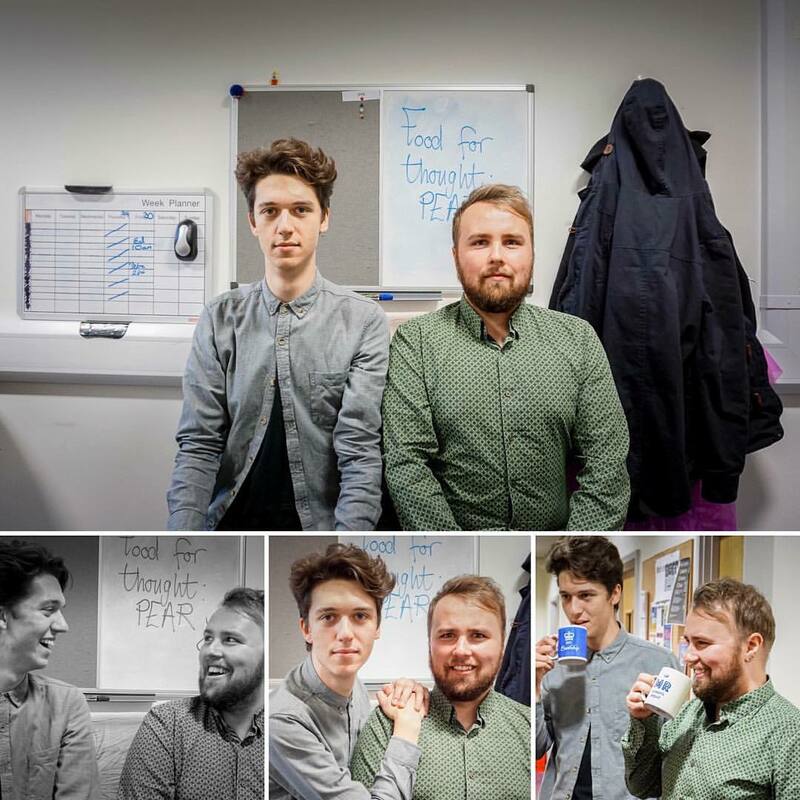 This paper comments and reflects on the first week that we (Matthew Harrison-Lord & Kyle Hill) set up a performative office on an academic corridor of lecturers and paid professionals. I found myself, as did Hill, having meetings and tutorials with lecturers and raising the question of ‘How do I start a career in higher education?’. What formed was the notion that each lecturer had earned their space and place (their office) within the University. In this paper we will reflect on evidence found during the process of setting up the space without any boundaries, and how this created a place with actions and performances of tasks that differed to our initial expectations. Using Marc Augé’s distinction between space and place we discuss the negotiations, exchanges and improvisations that happened from within our office. The paper highlights the journey from starting as assistants to the corridor to changing our focus and informing people that we would provide productive and counterproductive advice through one-on-one-on-one tutorials as our performance. We will discuss boundaries between staff and students and the geographical boundaries when positioned within a community that we are not part of (paid professionals). Harrison-Lord & Hill, Performative Duo.